This entry was posted on March 26, 2007 at 3:39 pm and is filed under *TMonkey, budget, Chinese, dumplings, new york, Restaurant. You can follow any responses to this entry through the RSS 2.0 feed. You can leave a response, or trackback from your own site. 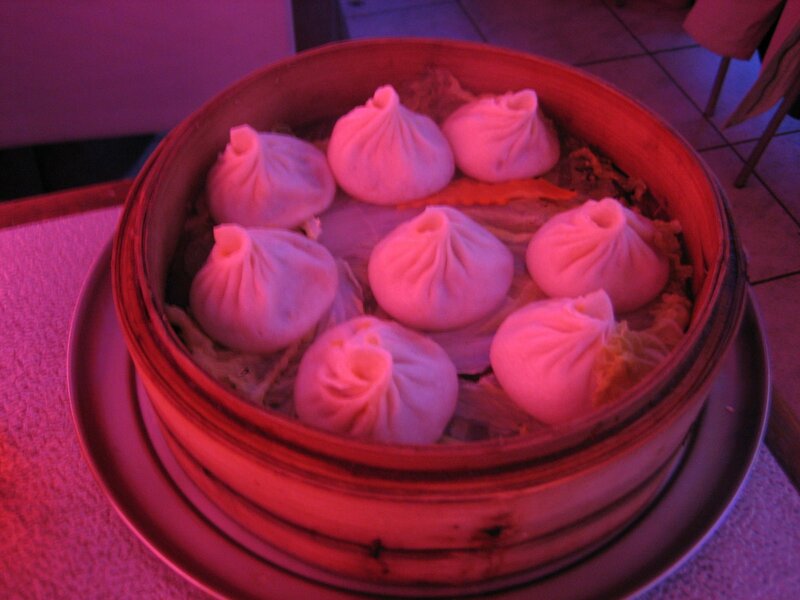 i would like to testify that these are INDEED the best soup dumplings in the city. while the crab meat in the dumpling gets super dried out at other places (er, Joe’s Shanghai), the innards of these precious jewels stay moist and piping hot. LOVE THEM. this is a huge find. thanks Irwin! i’ve been here twice now in 2 weeks, and will go again very soon. we got the pea shoots and the Shanghai Lo Mein with pork, which was also a delight!